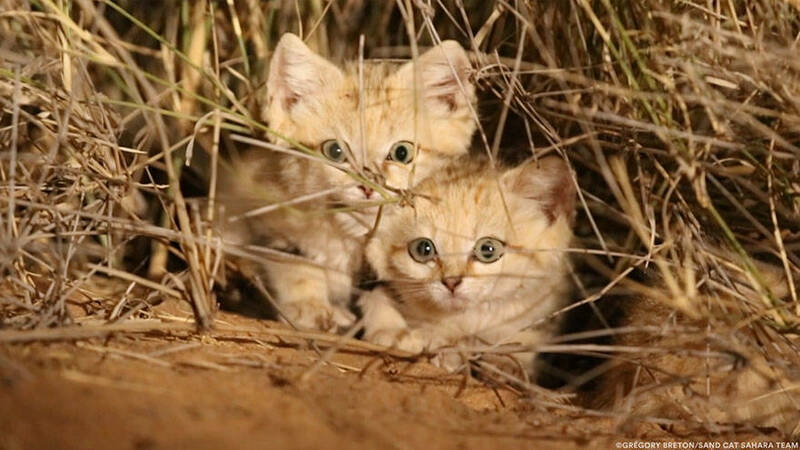 After years of searching, researchers have finally given the world a look at these adorable cats. 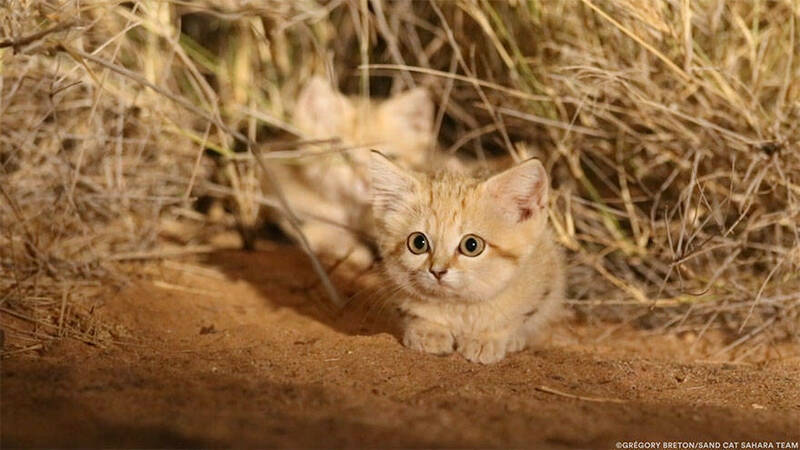 After years of research, the elusive “sand kittens” have been captured on camera for the first time ever. 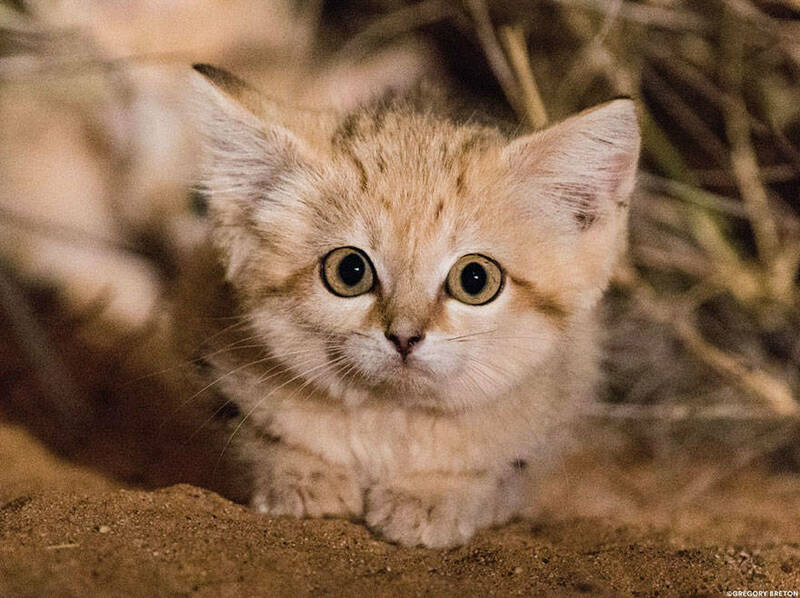 Sand cats, a species of feline that lives exclusively in the deserts of North Africa, the Middle East, and Central Asia, are notoriously difficult to find, and their kittens are even rarer. These stealthy cats travel only under the cover of night, and their camouflaged, sand-colored fur makes them even more difficult to spot. Furthermore, their furry paws do not leave prints in the sand and they clean up after themselves to avoid being tracked by predators. 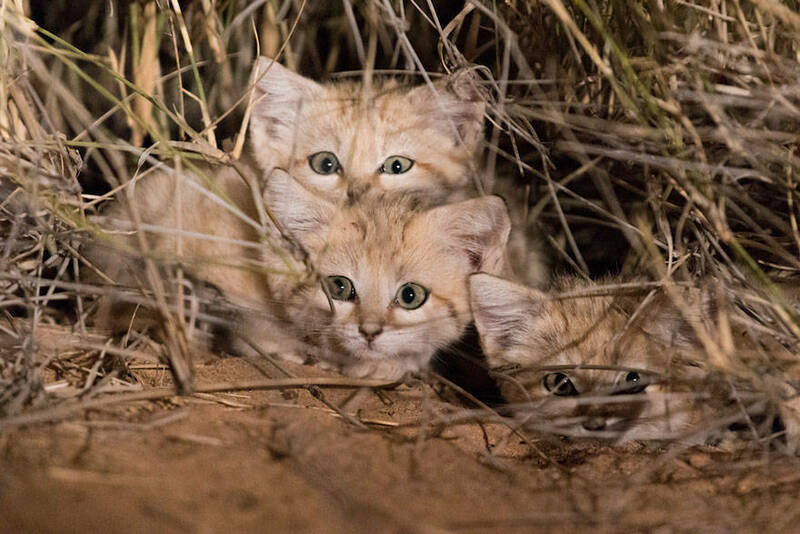 However, a big cat organization called Panthera spotted these seldom-seen kittens while they were driving back to camp in the Moroccan Sahara earlier this year. 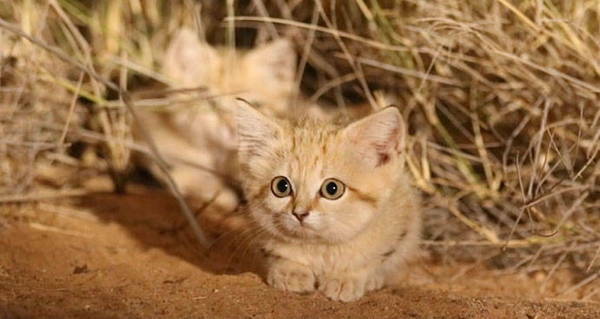 They had been in the area to document sand cats, but never imagined that they would discover this cache of sand kittens. Next, check out these amazing photos of a wild lioness nursing an orphaned baby leopard. Then, see this extremely rare white giraffe spotted on video.